Ever think of having a career as a “voice” in cartoons, video games, in films, on television or on the radio? Now is your opportunity to learn the ins and outs of the Voice Actor business in private workshops at the Northeast Comic Con & Collectibles Extravaganza Dec. 5 & 6, 2015 at the Shriners Auditorium in Wilmington, MA. The workshops are only open to 10 people each day Sat. & Sun. 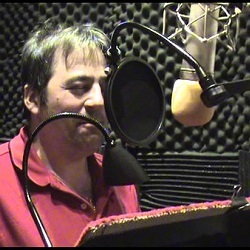 to have access to 3 greats in the voice acting field. 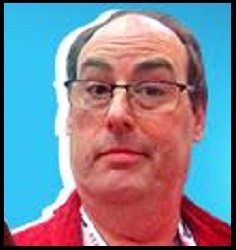 Mike Pollock has hundreds of credits for voice acting and will be joing by his cast mates from the “Sonic Boom” television program and the “Sonic The Hedgehog” franchise of animation and video games Cindy Robinson and Bill Freiberger. Attendees will learn the basics through the processes, technology and some will actually get to “voice act” with the cast in a Script Read on stage at the Northeast Comic Con. The entire workshop, including early admission to the Northeast Comic Con, front row seats for the script read, a special badge, autographs and hours of education. The mission of Northeast Comic Con is create a fun and entertaining environment to show the kids of the next generations where the jobs are in entertainment, pop culture and the creative arts. From the simplest aspect of learning to be a vendor of crafts, collectibles or pop culture items, to video game development and programming, puppetry, mask making, Art and Writing join voice acting as careers for the next generation in the 21st Century.